Recent decades brought human genetics from laboratory studies to mainstream commercial products. Today’s genetic research is a multi-billion industry based on the indisputable value of scientific output for the pharmaceutical industry. The key resource in this value production is the genetic material acquired from individuals through exploitable commercial services to be resold as digitalised genetic data to research institutions for profit. Waag decided to challenge this exploitation with a cooperative model of DNA valorisation where citizens remain owners of their genetic material and sequenced data. We believe citizens should remain owners of their genetic data and become stockholders of their genomic utilisation and commercialisation. 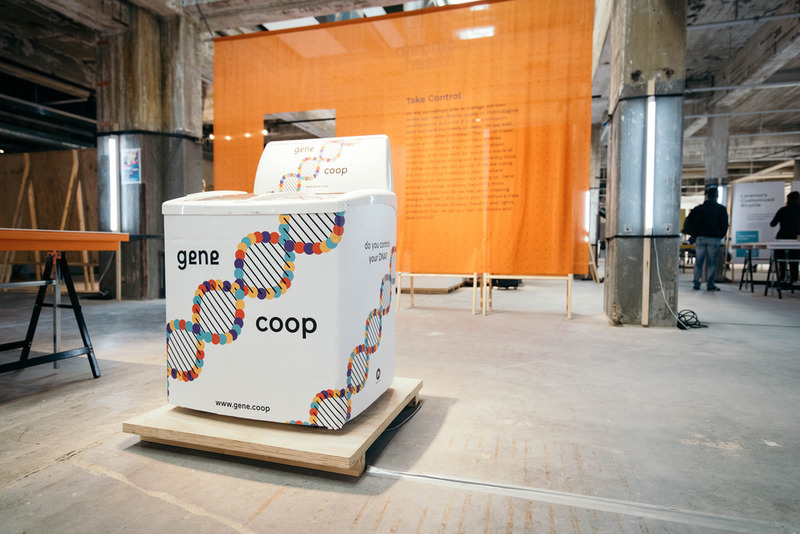 For that purpose, Waag proposes the Gene.coop, a co-operative institution, fully owned by its members, providing a legal frame for the citizens to remain owners of their genetic data during the whole process of its monetisation. Such an organisation would actively advocate, negotiate and represent citizen interests. The initiators of Gene.coop are: Lucas Evers, Miha Turšič, Sabine Wildevuur, Pieter van Boheemen, Wieke Betten, Roland van Dierendonck, Socrates Schouten and Federico Muffatto (digi.bio).